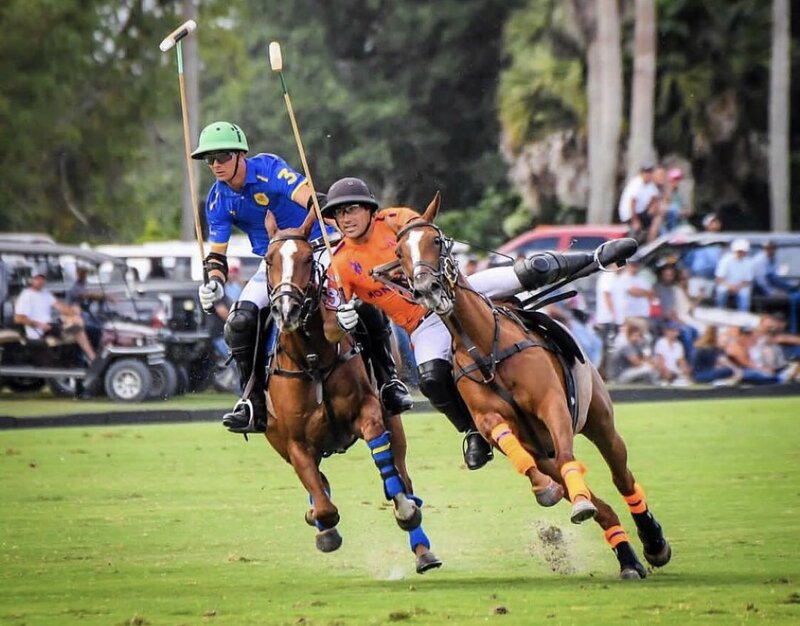 Pilot continued their quest for the Gauntlet of Polo™, claiming the 14-10 victory over Daily Racing Form in the 2019 CaptiveOne U.S. Open Polo Championship® at the International Polo Club Palm Beach. A tense match up in the opening quarter-final of the day, featured Daily Racing Form’s attack in top form to stun Pilot early in the game, only to have their indiscipline be their downfall as Pilot finished a perfect 9 for 9 from the penalty line in the victory. 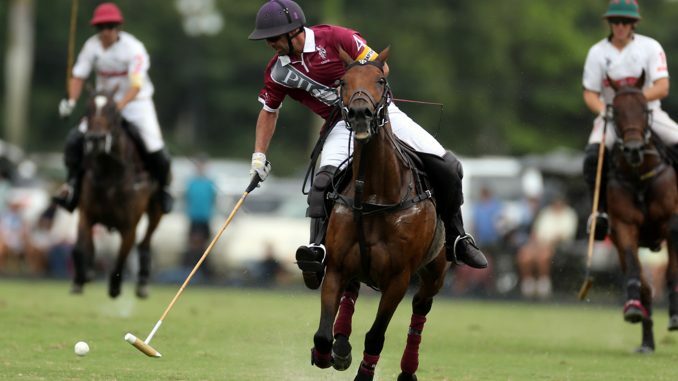 Throughout open play, Daily Racing Form held the upper hand with a passing attack led by Jared Zenni in the back to set up all three teammates in the game, but the duo of Gonzalito Pieres and Facundo Pieres produced an exceptional two-man game that has been crucial during their undefeated run. It was Daily Racing Form that dominated the opening two chukkas, led by two assists from Zenni to give his team the 2-0 advantage. With accurate passes, Daily Racing Form limited the counter-attack of Pilot, holding the potent offense to just one field goal in the opening half. 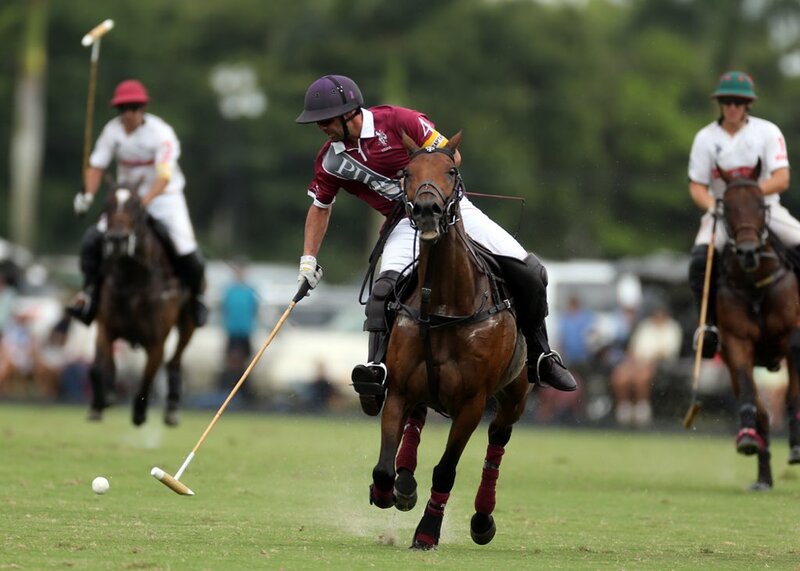 Looking to extend their lead, Daily Racing Form produced a three-goal second chukker, but foul trouble allowed Pilot to pull into a 6-6 tie at half time, with five of the six goals coming from the penalty line. Pilot began to find their stride in open play, while continuing to receive a high number of penalty attempts due to foul trouble for Daily Racing Form, who couldn’t slow the relentless attack of Pilot. Matias Gonzalez was active off the ball, providing space for the elite duo to pressure the Daily Racing Form defence who couldn’t produce enough turnovers to generate offense. 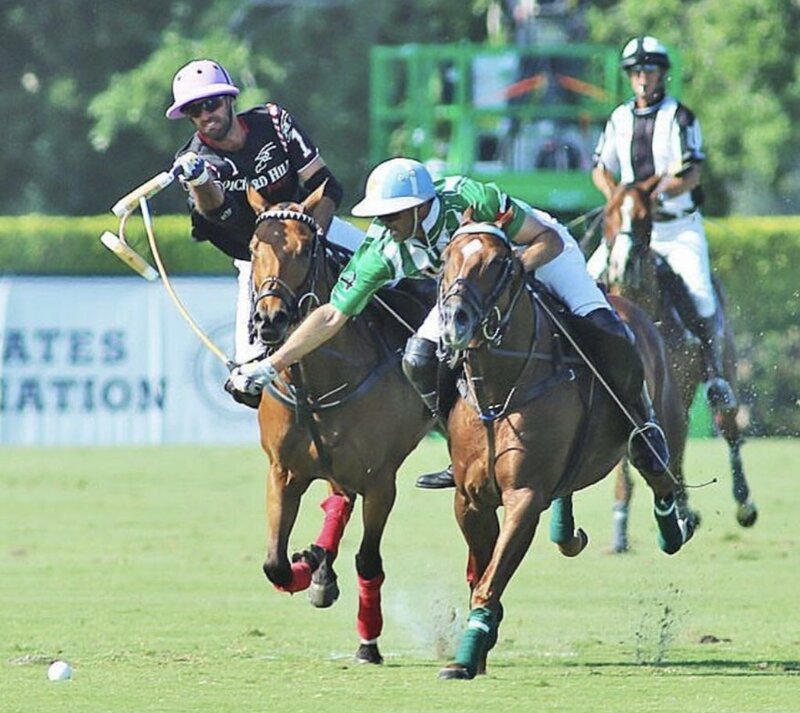 Frustration boiled over in the 5th chukker after Santiago Cernadas received a yellow card for dangerous riding, his second of the game, which was turned into a red card for unsportsmanlike, forcing him from the game with Tomas Obregon replacing him for the final chukka. 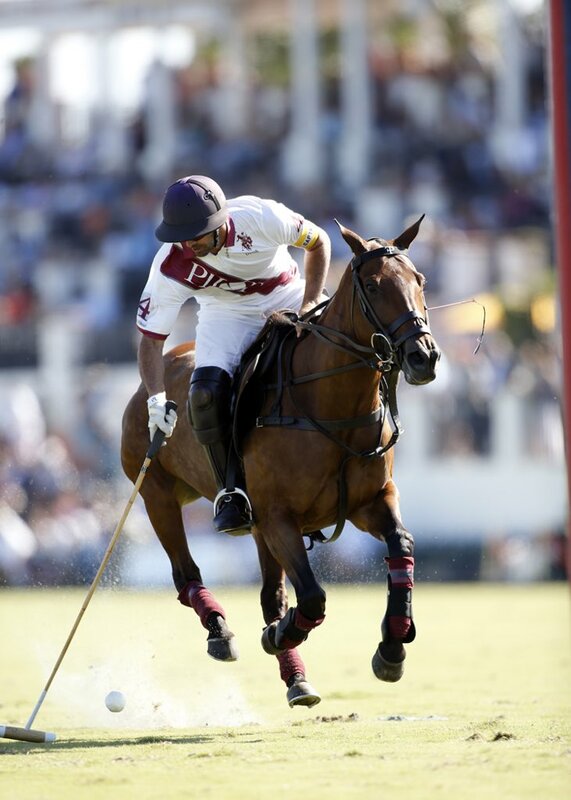 Gonzalito and Facundo Pieres executed effectively over the fifth chukka to combine for three goals and extending their lead to three. Daily Racing Form was unable to reduce the deficit in the final minutes, as Pilot claimed the 14-10 victory to reach the semi-finals. 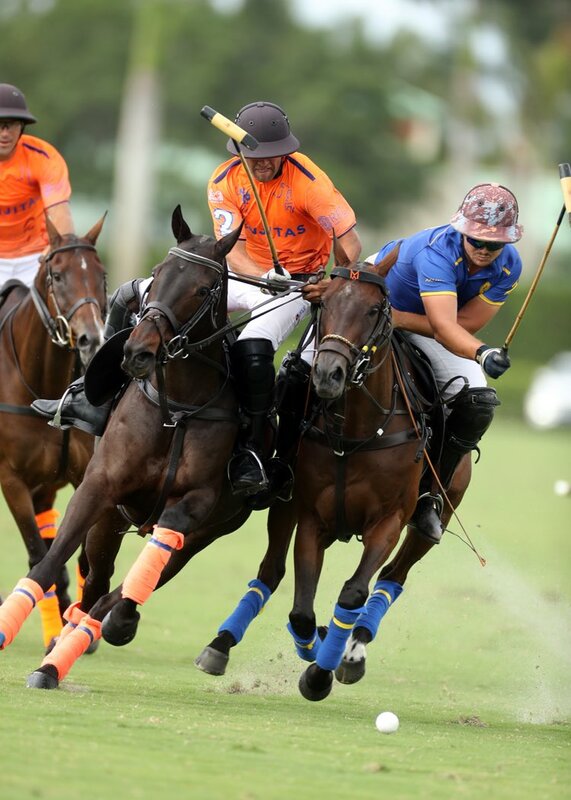 The second quarter-final of the day between Las Monjitas and Equuleus was postponed in the fourth chukka due to rain and will be completed Monday depending on field conditions at the International Polo Club Palm Beach.